“I’m concerned about it. I think everybody’s concerned about it,” he said in an interview inside a local flood relief shelter in Ashland, Nebraska. 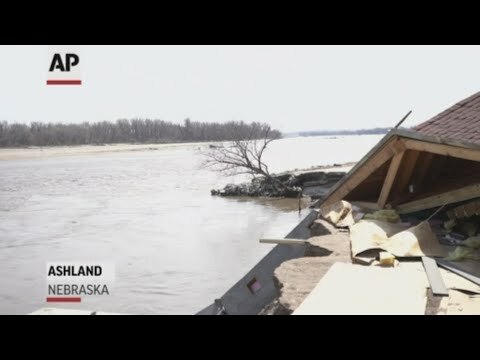 Maureen Hunt, 50, who farms on land less than a mile from the Nebraska Ordnance Plant, said all of the surrounding roads were inaccessible at the flood’s peak. On Wednesday, many surrounding cornfields still held large ponds of floodwater. Valerie Wilder, the Superfund section chief for the Missouri Department of Natural Resources, said in an email that the EPA contacted the state agency’s project manager for the Conservation Chemical Company site to keep her informed of its flooding status, but that there has been no EPA request for a state response at this time. Aerial photos taken Friday of Missouri’s closed St. Joseph landfill, which is not a Superfund site, showed that roughly half of the closed landfill had water on top of asphalt at that time. EPA said it is no longer flooded. “That’s a risk for cleanup crews and families that have returned to their homes, as well as fish, wildlife and waterways down the road,” said Kara Cook-Schultz, toxics director for the U.S. Public Interest Research Group. It’s important for EPA to inform first responders, cleanup workers and residents about the types of contaminants at each flooded Superfund site and precautions they should take to limit exposure, Cook-Schultz said.